Internships can be the best way to get a foot in the door, said Student Employment and Career Services Director Debra Vaughn. And one of the best ways to network and find those valuable internships, she said, is through the Greater Grads of Oklahoma program, offered through the Education Division of the Greater Oklahoma Chamber of Commerce. The program exists to help students make connections and find careers in Oklahoma, Vaughn said. Vaughn said the brain drain concern shows up in a number of ways. A large part of that effort is in showing students where to find opportunities, Vaughn said. The website for the program has an entire page showcasing Oklahoma City’s various attractions and benefits with headings like “Nightlife,” “Cost of Living,” and “Work Here,” she said. But while the front end of the site talks about why students should stay, the rest of the site is the how, Vaughn said. One part of the site lists internships in the area, both paid and unpaid, in industries ranging from biotechnology to energy to public relations and advertising, Vaughn said. “They usually have 40 internships [listed,] but I’ve seen it as high as 60,” she said. “This website will be absolutely upfront with you. All of these have been vetted and approved. “Employers have to fill out documentation, and the listing will tell you everything about the position — what you’d need to bring to an interview, what would be expected. “It’s all there,” she said. Vaughn said another part of the program is helping students connect with business leaders through a summer program of luncheons called InternOKC. Students are paired with human resources directors, entrepreneurs, business leaders, and business professionals in dozens of fields over the course of six luncheons, she said. One InternOKC participant nursing major Caleb Shultz said he took part in five of the luncheons and thinks it’s a good program. “It might motivate people to stay in Oklahoma because of all the things they present to you,” Shultz said. Shultz said his reason for participating in the program was the chance to network that it offered. “You definitely need networking when you start your career.” he said. And as a student employee for the Student Career and Employment Services office, Shultz said he sees the program helping students often. “The website is one of the first we refer to when we’re helping students look for internships,” he said. Vaughn said students who want to participate in the InternOKC program should go by her office, located on the first floor of the Main Builfing in 1G7 (A) and talk to her, as there are a limited number of spaces available. 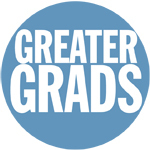 For more information or to find an internship, go to greatergrads.com or visit the office of Student Employment and Career Services in the Main Building.